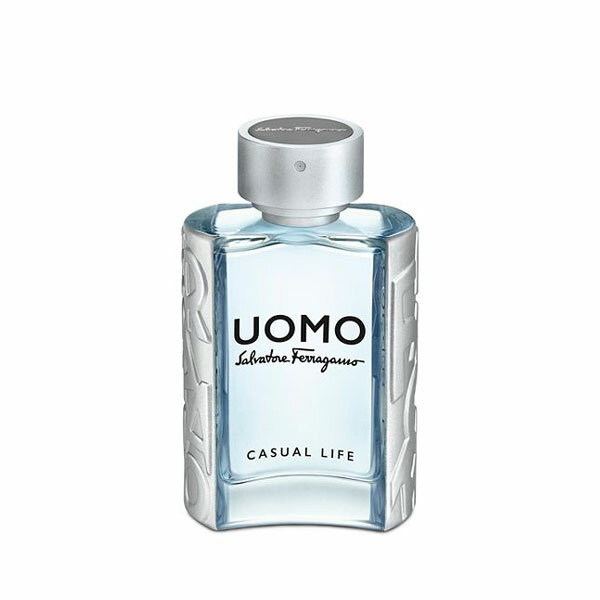 There are 4 reviews of Uomo Casual Life. Mix a watery violet note with some of the sweetness from the original Uomo and you have the opening. Later the drydown is like a cheap version of Invictus Aqua, similar to some of the "blue" frags at Zara. Very casual and young. Will be cloying if over-sprayed. Decent projection and longevity, hung around for 8+ hours on clothing. This one has the dna of the wonderfully bold Uomo, but it's tastefully toned down and given a nice lemony tang to it. Casual Life is warm weather friendly and has an expected "lightness" to it, whereas its predecessor the original is quite loud (but pleasant nonetheless). Along the lines of lower-key versions of other houses' scents like Paco Rabanne's Invictus Aqua, Prada L'Homme Eau, Prada Luna Rossa Sport Eau, etc. ; and it reminds me remotely of Versace pour Homme with its citrus emphasis. While it shares the sweet and tasteful gourmand spirit of its older brother, this one comes as an inoffensive "Eau" version because of its lighter consistency, according to the summer season that's supposed to be worn at. 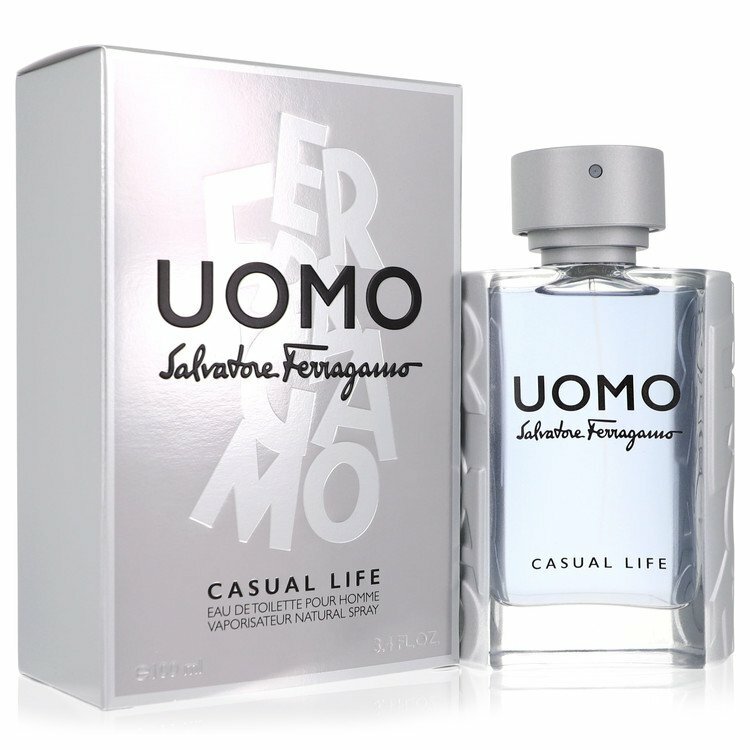 In that line, if SF Uomo its meant to be used on a cold day and its scent may last till you get back home, Uomo Casual Life only joins you for 3-4 hours on a warm day and that is why I prefer using it at afternoon where its longevity could last a bit longer. Still, where SFU comes in the form of tiramisu-like juice, SFUCL appears to be the dried down nectar of a 90's bubblegum which you remember tried once on a summer trip to the harbor. Not a bad thing, but let's be clear: one stands as the classy and elegant brother, while the other is the relaxed and youthful one. Overall, it's a nice "sweeter rather than fresh" fragrance, quite ethereal but sticky which seems perfect for a warm weather evening date. Interesting spin on the original, tho I am not sure what Casual Life description is all about. Morillas and Guichard have been brought in to brighten and liven this up...they have good experience doing this, several flankers under their belt. Have they accomplished the purpose? Yes. It is nice, yes, unique, no. Wearable for year-round use, so familiar, so casual. 3 2ml Samples of Salvatore Ferragamo - Uomo, Casual Life, And Signature. 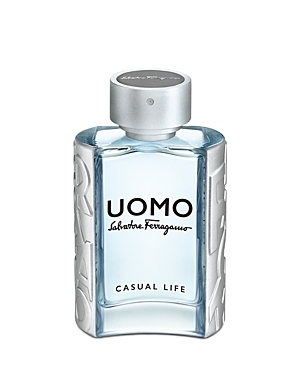 There are no member images of Uomo Casual Life yet. Why not be the first?